The DI-A quarterfinals turned out to be a little more wide open than expected. 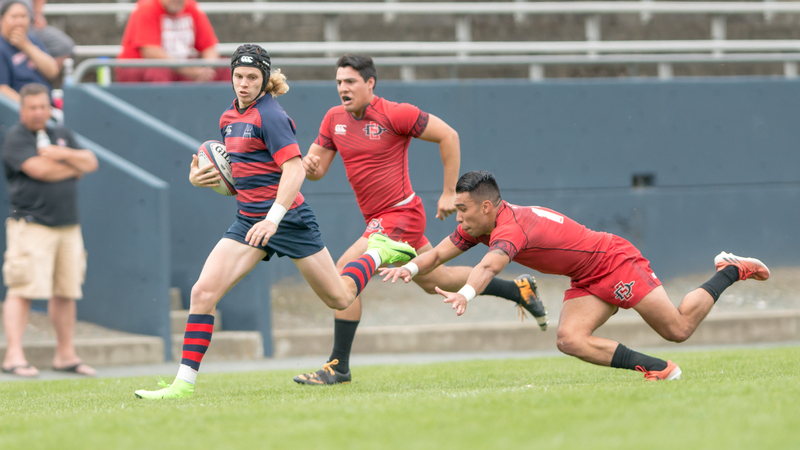 While it was expected that there were going to be some lopsided scores in the end the favorites advanced relatively easily setting up semi-finals between St. Mary's and Arizona and BYU and Life. Life and Lindenwood have been one of the best rivalries in college rugby the last few years and it was expected to manifest itself once again in their quarterfinal match. While it was competitive Life showed just how good they are in their win and have put other teams on notice that they intend to do everything to defend their title. The Running Eagles went up 12 on tries from Harley Wheeler and Brian Muntanga. Lindenwood responded with a penalty but they hurt themselves with a yellow card. That allowed Life to add another try before Lindenwood hit their second penalty. At the break it was 19-6 for Life. The second half went in favor of Life early when Alex MacDonald scored to put Life up 26-6. Then a try from Jamie Berrisford extended it to 31-6. Lindenwood made a comeback with a try from Jeremy Leber and later a try from Nick Feakes but it wasn't enough as time ran out. In retrospect it's probably unfair for Life and Lindenwood to play at this point in the competition. Both are top five teams and now one has gone home early. BYU made the long trip to Indiana to take on the Hoosiers. BYU were heavy favorites in the match and played like it early running out to a 24-0 lead. 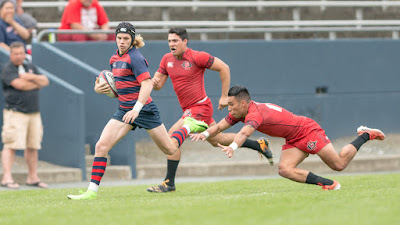 A fantastic individual try from Bryce Campbell kept Indiana in it but then BYU continued to pile on the points eventually leading 44-10. Credit to Indiana, they never stopped fighting and had their moments at the breakdown. They also scored a last minute try. Indiana were good it's just that BYU are on another level at the moment. BYU will have to make the long trek to Life next week for a must-watch semi-final. Whatever St. Mary's brought back with them from their tour of Ireland and Scotland they might want to save some for later in the playoffs after they ran all over San Diego State. The path looks pretty clear for the Gaels to make it back to the DI-A title match after the win. Arizona led 22-0 at halftime and they only extended that after the break as they beat Baylor on the road. Arizona will now have to face the buzzsaw that is St. Mary's.